Salfred's Coach & Minibus Tours offer busses for hire for long distance trips or locally in Cape Town. 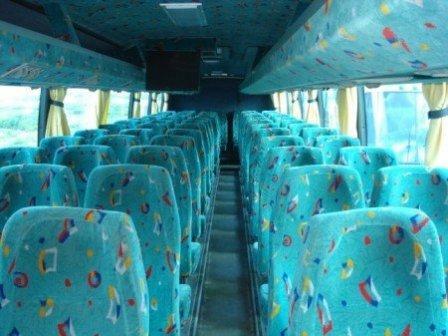 The business was started approximately in the 1980's by Mr. Fred Christians (Snr). It was Province Transport at the time. 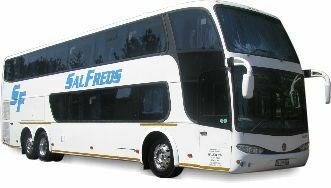 At Salfred's Coach & Minibus Tours, They operate with the proven assurance that theirr buses are safe, comfortable and reliable. 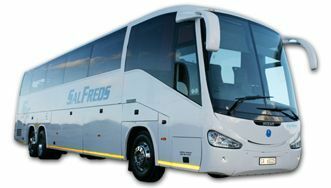 Salfred's Coach & Minibus Tours has passenger liability insurance for your assurance in the unlikely event of an accident. 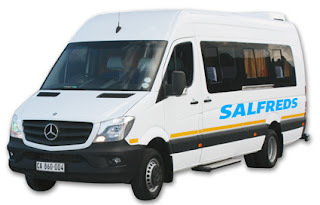 *Local & Longdistance Tours within South Africa and Neighbouring Countries. 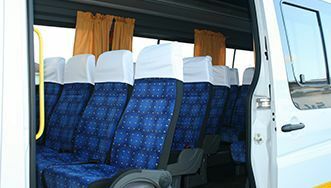 Their drivers have regular medical check-ups making sure that they are medically fit to ensure your safety. Their fleet of more than 30 buses range from 16 seater’s to 70 seater’s. All their vehicles are insured and also carry passenger liability to ensure that you are covered in the unlikely event of an accident. 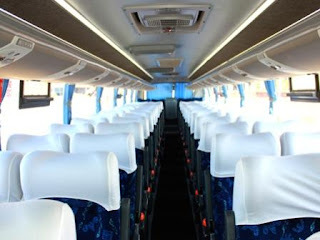 Their busses are maintained on a strict Maintenance Schedule to ensure your safety. Before each trip our vehicles undergo a pre-trip inspection.